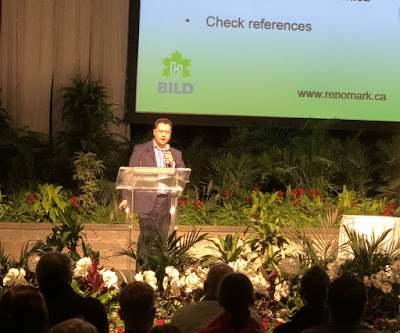 Dave Jurinic once again on the Main Stage at the 2018 Toronto National Home Show that just wrapped up last week at the Enercare Centre on the CNE grounds. Dave discussed 5 Key Steps to a Successful Renovation sponsored by BILD & Renomark. Here is a picture of Dave Jurinic on stage where he presented in front of a packed audience.